Those of us who live in the north have an opportunity to participate in cross country skiing provided that the weather gods give us ample snow. Unlike downhill skiing there isn’t a need to travel to a ski resort or buy lift tickets. Some communities have municipal parks, golf courses or state parks that provide access to cross country trails and some even have facilities to provide for equipment rental. Outside of skis and boots there is no requirement for special clothing. When we were kids our skis were purchased from the Salvation Army Store and our boots were our normal winter snow boot. Our bindings were either a section of belt or length of rope that was to keep the ski is on our feet. Sometimes it performed all too well when a release would have been much more to our advantage. This would happen when we wiped out and our ski would be vertical with our feet still stuck in the bindings. We learned on hillsides and even attempted jumps, stunts they would make most parents shiver. 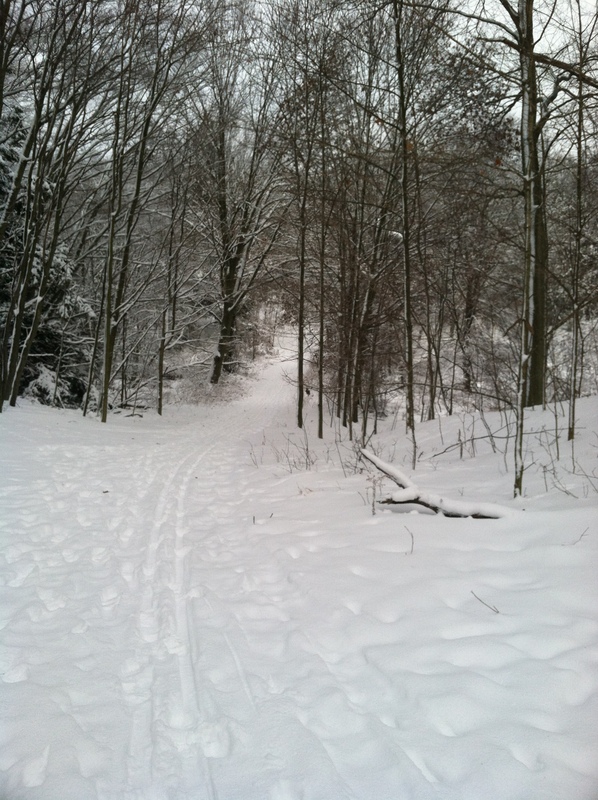 Cross country skiing can be enjoyed on various types of terrain. Some golf courses or state parks allow skiing which usually means across fairly flat land. Other state parks or ski resorts have trails which cover various types of country from flat land to hills and from open country to forests. For the adventurous and physically fit federal or state lands are available where one can blaze their own trials. However, if going this route it’s a good idea to have a lay of the land and bring a compass. Yes. I know cell phones have a compass or GPS but I love a compass. It requires no batteries and it works in an area with a dense canopy that may impact the signal to the GPS. So how does one get into the sport? First and foremost I would recommend going to a facility that has groomed trails and rents equipment. Also, if there are lessons provided, take them. There is no shame in taking a lesson, getting valuable tips and learning how to get up after taking a spill. The next step is getting measured for the right size ski. This is something that the novice cannot do properly. Ski size and type are important. Many skis are no-wax which simply means they do not need to be waxed for the various snow conditions. No-wax does not mean any maintenance. Skis need to be cleaned and the bindings checked for proper functioning. The comfort of the ski boot is very important. If the fit is too lose will not have proper control over your ski. If the fit is too tight the foot will be cramped and a miserable time is in store. Depending upon the type of boot a heavy stocking may be required. So in order to help beat those winter blahs and make this time of year pass quickly give this sport a try. It is fun, you see some great scenery and it will help remove those pounds that were packed on over the holiday. This entry was posted in Uncategorized and tagged boots, cross country skiing, fun, skiing, skis, sport, winter. Bookmark the permalink. Thanks for visiting my site and your comment. I plan on doing more of this type of post on some other topics.